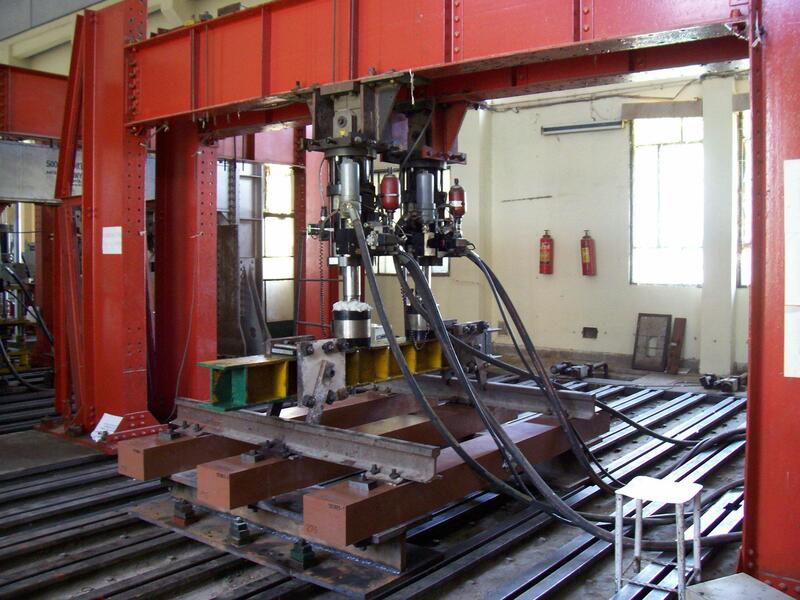 Fatigue test of FRP sleepers for track by simulating service loads. Endurance test of sand-witch rubber components. 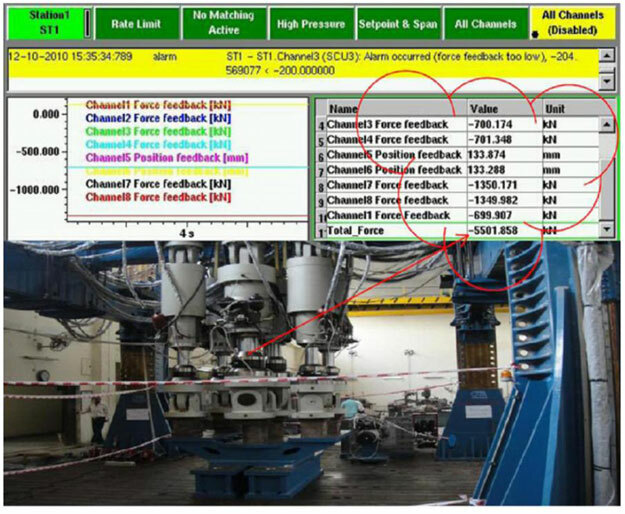 Endurance test and damping characteristics of shock absorber. · Two dynamic actuators of 150 ton capacity and two dynamic actuators of 25 ton capacity of +125 mm stroke. · Four static actuators of 75 ton capacity of 300 mm stroke. · Four dynamic actuators of +25 ton capacity of +50mm stroke.